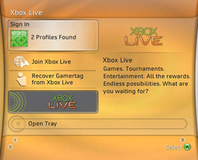 Microsoft has confirmed that it will soon make the New Xbox Experience a requirement for all Xbox 360 users. Xbox boss Shane Kim has said that he believes the Xbox 360 can manage seven years without a sequel - twice that of the original Xbox. Epic hasn't forgotten about Xbox 360 gamers and is still trying hard to get mod support running in the Xbox 360 version of Unreal Tournament 3. Microsoft has now officially dropped us the details on the Xbox 360 price cuts, which will be affecting all models of the console. Xbox 360 Blu-ray add-on speculation is "premature"
Microsoft has said that speculation of a Blu-ray add-on drive is "premature." That doesn't stop us from speculating though, right? Bizarre Creations has released the demo for the PC version of The Club; the full game is set for release on 22nd February. Wondering why Burnout Paradise needed a HDD on the Xbox 360? Us too. It's a good thing that EA has let us know then. Console modder Ben Heck has revealed his latest masterpiece; an Xbox 360 Elite laptop, with a full how-to guide.